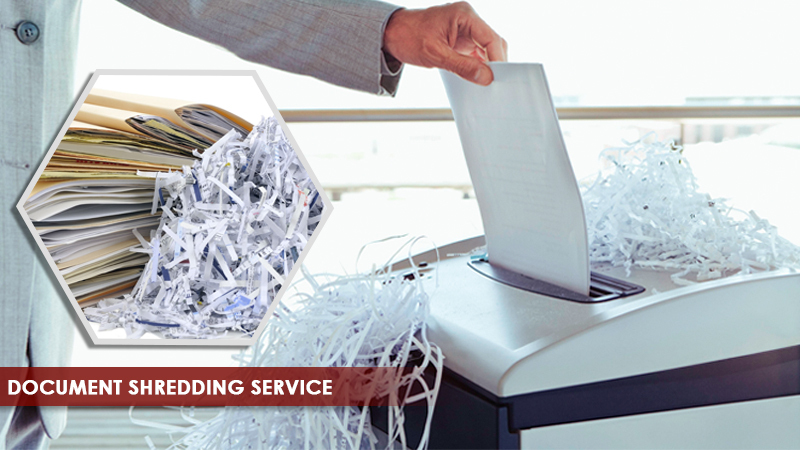 Document shredding services is a process of destroying the data to make it permanently unreadable. Today, a majority of the business comprises of unwanted data or information stored in different formats, which was once considered to be crucial. Hence, the theft of such data by the unauthorized or irrelevant people can cause wider damage to the functioning of your business. Scanning and Indexing is a globally distinguished and reputable offshore service provider of data shredding service to all our worthy clients. To offer quality-embarking and flawless process, we have employed a team of dedicated professionals who are recruited after multiple rounds of tests and examinations. We are well-equipped with the modernized technologies to dispose of the content permanently with a comprehensive and confidential waste disposal system. Why does our ‘Data Shredding Services’ stands out? Your company (no matter how big or small it is), might be dealing with a bulk of sensitive information on a daily basis. When an unauthorized or a wrong person gets access to your crucial data (financial/ employee records or confidential documents), it can hamper your business in adverse ways as it can pave a way to theft or fraudulent activities. Scanning and Indexing is well-known among its clients for advanced and specialized data security measures. We offer complete security to preserve your private information during document destruction or destructing the hardware. Under this process, we will come to your firm with a paper shredding truck. The authorized truck driver will gather the bulk documents to the truck, to destroy them, on your premises. The documents get destroyed completely wherein you can watch the complete process on live. One of the examples can be destroying the patient records within the premises of a hospital or clinic. In case of an off-site paper shredding the process, the bulk documents are placed on the truck and is transported to the premises of our company (to the location of your offshore outsourcing service provider). When the data is picked up from your premises, you are generally offered with a ‘Certificate of Destruction’. Our team with the use of the finest technologies ensure the physical destruction of your hard drive and digital media, assuring to keep the data or information confidential. Mishandling the handling can lead to the downfall of your business instantly. Our paper document shredding services includes the destruction of the paper-based information completely and securely. Phase 1 – Drop us a mail with your requirement and tailored quote. Phase 2 – Once the initial talks are ready, choose when and where you want to avail our data shredding service. Phase 3 – We arrive at your location on the prescribed date, collect the crucial information, and destroy them without any hassles. Phase 4 – We execute the process in an environment-friendly way and offer you a ‘Certificate of Destruction’ for all the destroyed files and records.